The focus of water treatment is increasingly shifting to the recovery of raw materials. Drinking water companies, waterboards and sludge final-processors are concerning themselves with the recovery and useful reuse of residuals for the creation of a circular economy. For the time being, in the wastewater and sludge cycle the investment is being directed mainly at phosphorus recovery. However, there are more residuals that can be reused. There are also opportunities for the recovery of (scarce) heavy metals and rare earth metals, including copper, zinc, gold and palladium. Removing metals also improves effluent quality, sludge quality and residual ash, and therefore opens disposal possibilities. On this topic Wetsus organised a workshop on 20 April 2017 with the theme “Metal recovery from sludge”. KWR was invited to give a presentation about “Detection, removal and recovery potential of metals from the watercycle”. My presentation started with a few slides about why we should remove and recover metals from the watercycle. 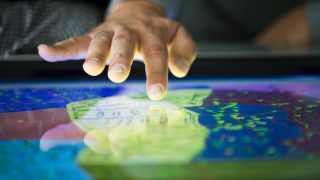 Because there was not much knowledge about the presence of metals in the watercycle, especially (scarce) heavy metals and rare earth metals, our research started by developing a methodology for measuring 60 elements – metals and several non-metals – in the watercycle with Inductively coupled plasma mass spectrometry (ICP-MS). 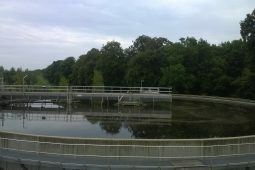 We detected those elements in three streams from a drinking water production facility, seven different streams of four different waste water treatment plants, fly ash from incinerated sewage sludge and compost of sewage sludge, all in the Netherlands. The measurements provide a clear picture of the quantities and form of the scarce and rare-earth metals present in the different streams in the water cycle and sludge processing. We also measured after filtration and found out which percentage of each element was bound to the particles present in the influent and the effluent of the waste water treatment facilities (see figure). 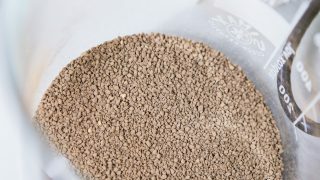 Some metals, especially aluminium and lead, but also copper and zinc, are more than 50% connected to particles present in the influent for example in the waste water treatment plant in Amersfoort in the Netherlands. In the Netherlands, loads above 1000 kg have been measured for copper, cerium, chromium, lanthanum, lead, nickel, gallium, tin and tungsten. Several metals in ash from incinerated sludge are present in relatively high concentration, comparable to some ores. Especially in combination with the intended phosphorus recovery from this ash, there is potential for recovery of (scarce) heavy metals and rare earth metals. The next phase of the research – planned for the summer of 2017 – is a second round of sampling and analysis to complete the measurement program. Then the effectiveness of a selected technology (e.g. ion exchange) will be tested on a small scale for one or more of the streams in the watercycle with a view to underpinning the economic feasibility and sustainability profits. 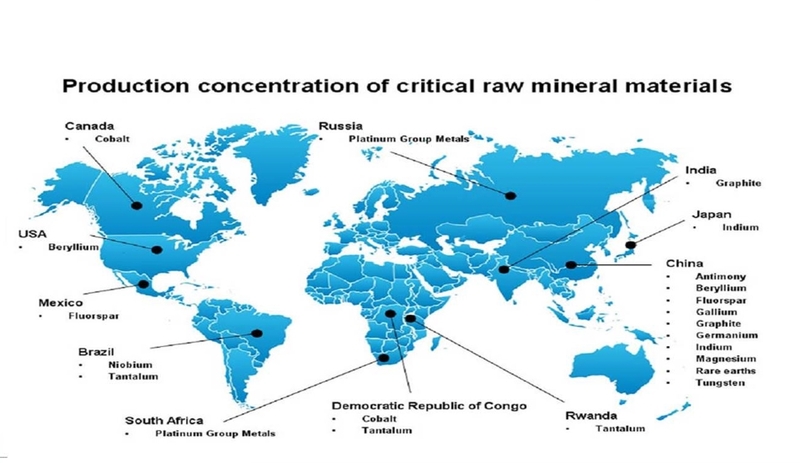 Production concentration of critical raw mineral materials. Percent of elements bound to particles in the influent of the waste water treatment plant in Amersfoort in the Netherlands.